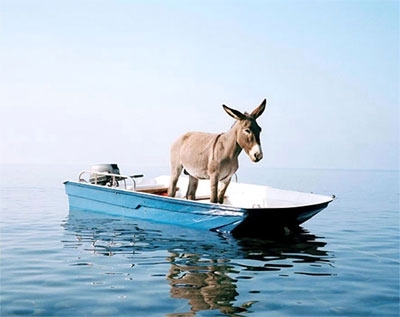 The Smart Donkey submits a float idea for the Thanksgiving Day Parade. as far as he did in his calculations without turning the chalk to mush. we "borrowed" it from the competition. This is our favorite. We "flipped" over this one when we first came across it. Talk about bass ackwards. 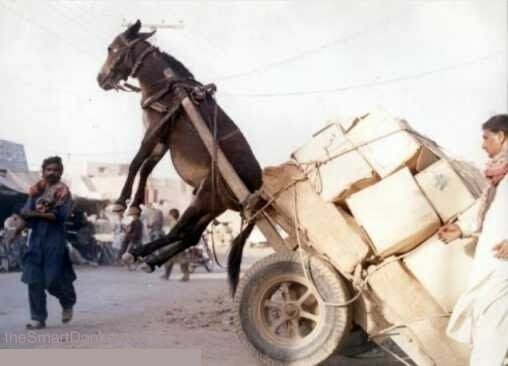 The cart looks to be pulling the donkey! 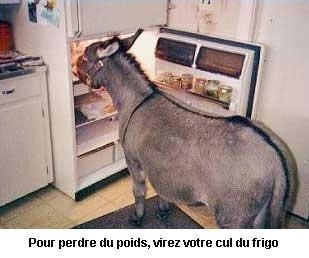 Because even a SmartDonkey needs to eat. And YOU thought we only ate grass!